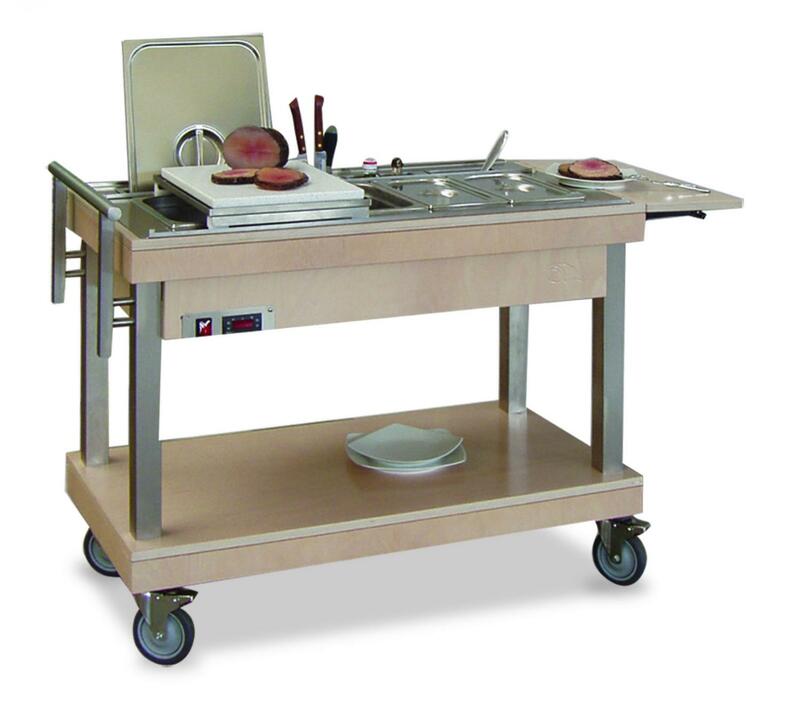 Contemporary bain marie solid wood trolley ideal for meat service. 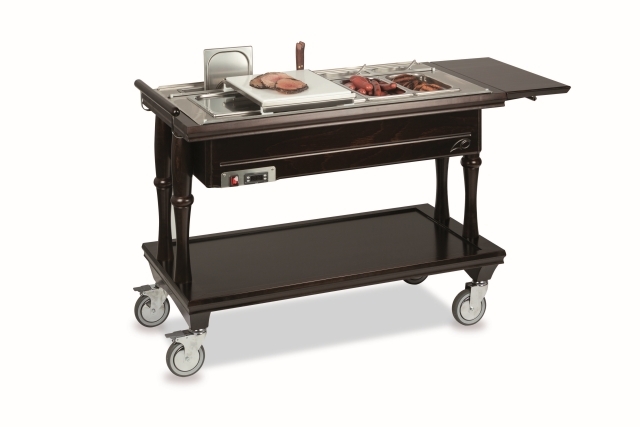 Bain marie heated solid wood trolleys with a stylish and luxurious design. Ideal for meat service.